Montpelier, Vermont was home to the Montpelier & Barre Railroad, a 14-mile shortline from Montpelier Junction, Vermont to Graniteville, put together by Samuel Pinsly from portions of the defunct Barre & Chelsea. At one time the line was part of what was known as the Granite District due to the major commodity hauled. 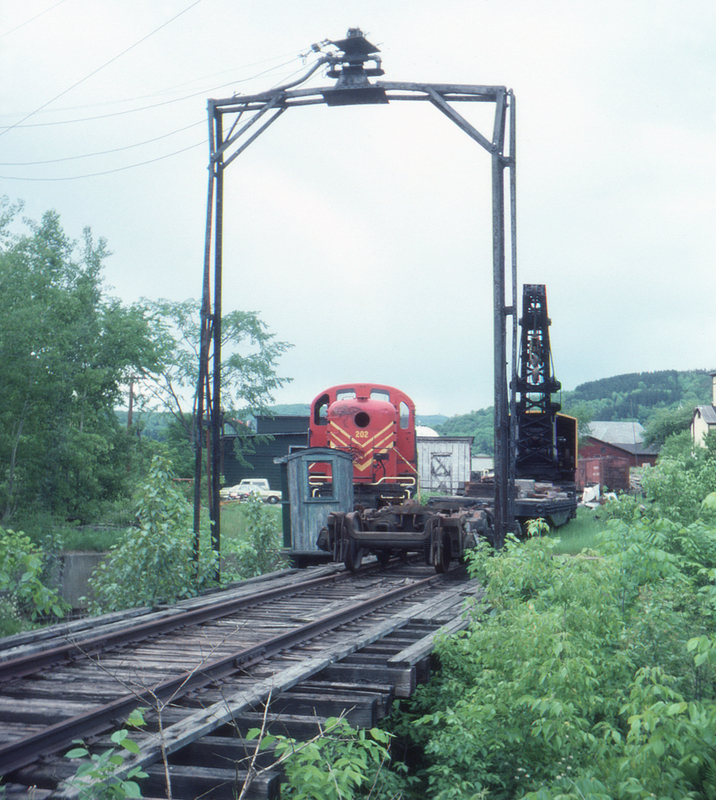 The road was purchased by the state of Vermont in 1980, who then turned operation of the line over to the Washington County Railroad. Among other half-hidden treasures found in Montpelier were this overgrown turntable, as well as an Alco RS-2 or -3 (no. 202) that was apparently missing a headlight, if not more.